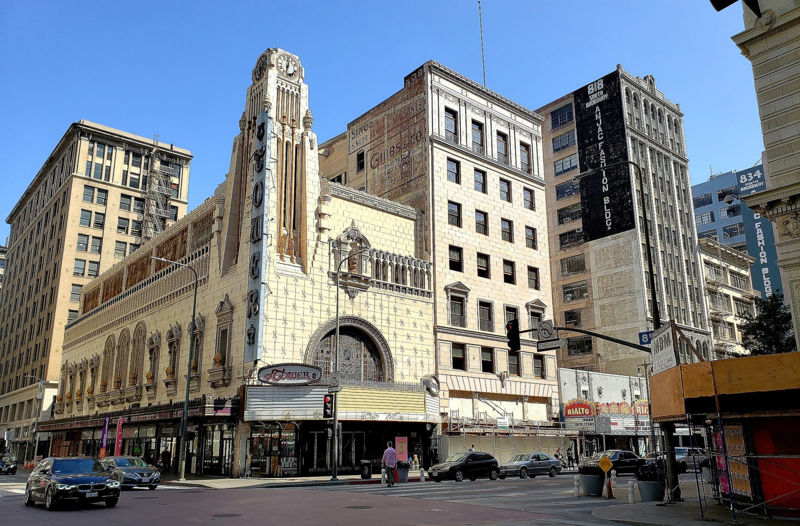 According to DTLA Rising, vendors operating shops in Tower Theater's exterior stalls have been handed a notice to vacate the property by the end of June. The report claims all current tenants received the notification last week, suggesting the building is being cleared out for a major project. While Apple was not named as a future tenant, the company was in 2016 said to be negotiating a retail lease of the 90-year-old property. At the time, Apple was thought to be scoping out potential locations for a new L.A. flagship in the city's historic, but aging, Broadway Theater District. An unnamed source told DTLA that Apple plans to "encase the entire Tower Theater in a glass cube," a highly unlikely scenario considering the company's recent architectural designs and delicate approach to culturally significant sites. Perhaps more likely is comprehensive restoration of the structure that falls in line not only with city ordinance, but also internationally accepted conservation practices. 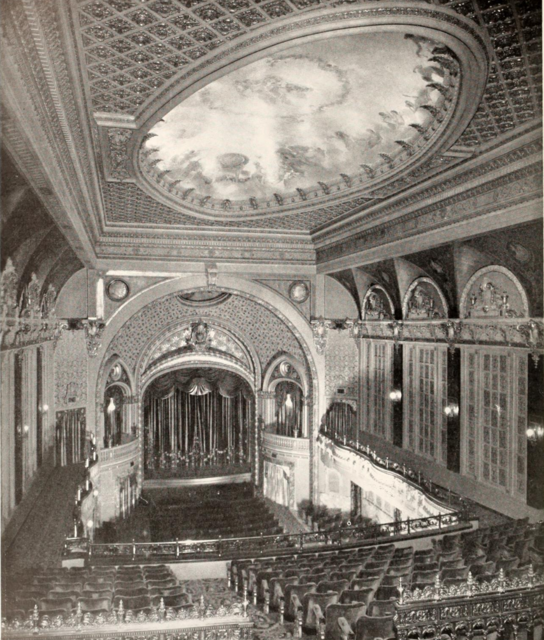 Built in 1927, the Tower Theater boasts a Renaissance Revival facade and Paris Opera House-inspired interior, though all ground level seating has been removed, today's report said. Previous estimates put the main theater at about 7,500 square feet, while another 7,500 square feet of space spans a basement level. Apple has in the past been recognized for its preservation and restoration efforts, and in 2016 received was awarded the New York City Landmarks Conservancy's Chairman's Award for its work on the SoHo, West 14th Street, Upper East Side and Grand Central Terminal stores. If Apple is planning to move in, the company store will join other big brands that have taken residence in the Broadway shopping district. A new Vans flagship store is set to open next door, while Aesop, A.P.C., COS, Theory and Urban Outfitters recently opened nearby as part of a wider revitalization movement, the report said. Once filled with stores run by major retailers, the area has deteriorated and revitalization attempts hit snags due in part to strict cultural heritage protections. That changed in 2008 when City Councilmember Jos Huizar launched the "Bringing Back Broadway" campaign to strike a balance between historical preservation and local revitalization. The project helped create and institute city Historic Commercial Reuse Guidelines in 2013, a set of rules designed to foster commercial development while safely reactivating historic buildings. Are you kidding me? Unless this is planned for a distant future when the long term DTLA renovation and revitalization is completed, it's not quite the safest place to be carrying out freshly purchased valuable tech gear at night. "An unnamed source told DTLA that Apple plans to 'encase the entire Tower Theater in a glass cube,'"
I wouldn't give my name either if I had said something like this. It's nonsense and is completely contrary to all of the other historic building renovations Apple has done around the world. Since when does Apple do Deco? Apple would restore the building to pristine condition! What? Even 20 years ago it wasn't that bad, I regularly spent time in downtown LA for business back then. The "bad" parts are outside the core and LA's crime rate has remarkably fallen since the early 90s. Apple does Beaux Arts at Grand Central Station in NYC. I hope Apple does not use the theatre for retail but I would be happy if they contributed money for restoration and turn it into a performance space again, it looks fantastic.